Oahu shaper Ron Meeks has been busy this El Niño season making sure Mark Healey, Dave Wassel and some of Pipe’s best underground guys are set for all the swell. Lately Ron’s boards have seen a lot action–the huge left out at Pe’ahi ridden by Mark Healy and the DaHui Backdoor Shootout where local Hawaiian charger Kaimana Henry won on his 6’8”. 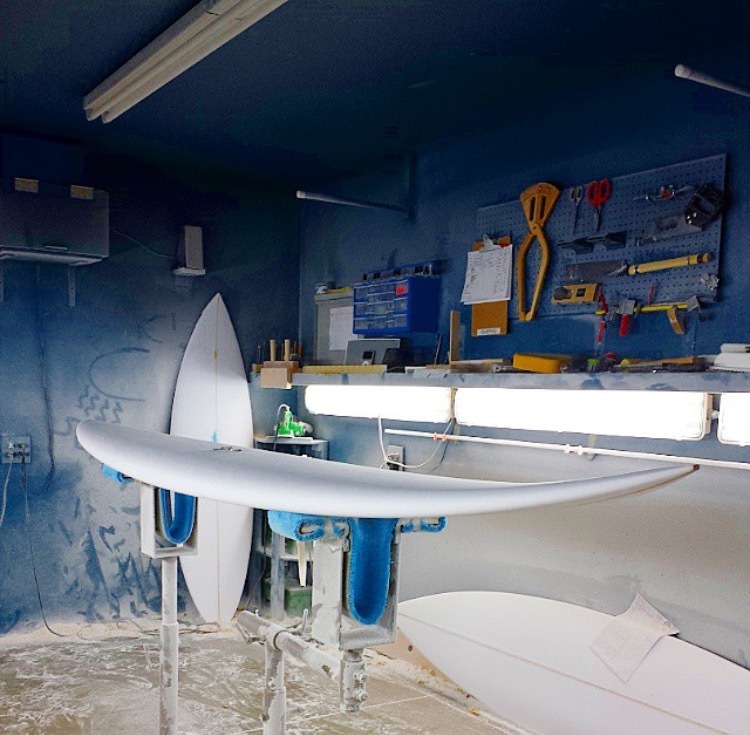 We recently had the pleasure of catching up with Ron and asking him about everything from big wave board design to shaping. 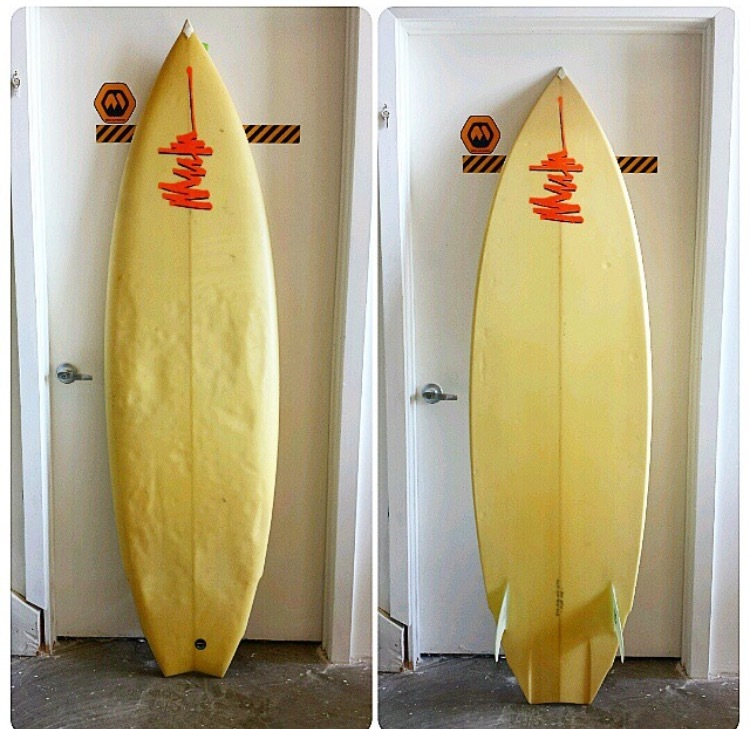 How did you get your start shaping boards? 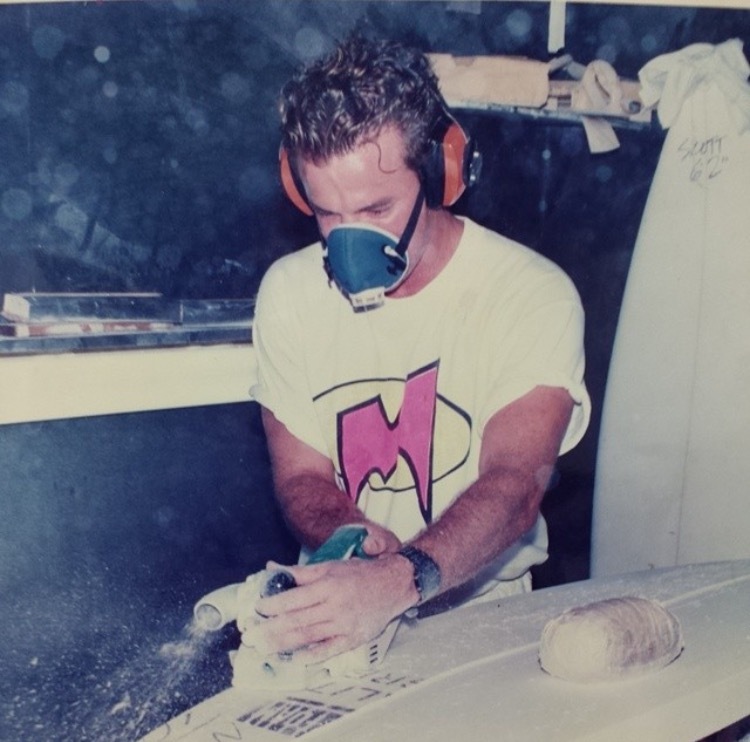 I shaped my first board in Texas,when I was 15 or so, probably ’79 or ’80. I’m pretty curious person, so it all stemmed from that. 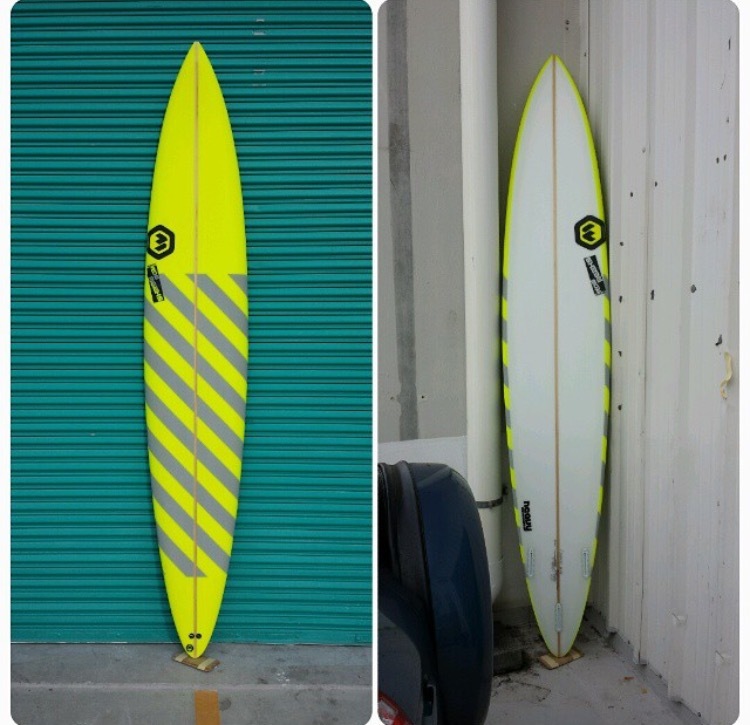 I remember looking at my first board (a used Aipa single fin) and thinking what is this white sparkly stuff inside? What is this clear hard coating on the outside? How did they get the logo on there so clean? I had no idea how they were made..or what materials were used. Never heard of blanks, polyurethane foam, shaping, none of that. A family friend knew that the cores were foam, so he gave me a 6′ x 3′ x 2′ thick block of foam he was using (he was building an airplane in his garage). It was very, very soft, and took me forever to shape. I used only a surform on that giant chunk of foam!! So, things kind of progressed from there, got my hands on some actual blanks later and had a lot of friends who were willing guinea pigs…and by ’84 or so I was doing it more or less full time. You make a pretty wide spectrum of boards. What do you enjoy making the most? I know this will probably sound disingenuous but I really do enjoy shaping everything from grom boards to guns. I’m still hand shaping, and don’t produce huge numbers, so I really enjoy time in the shaping room. 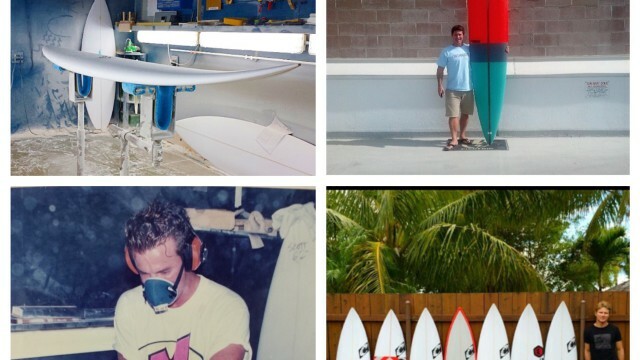 You have been making big-wave guns for Mark Healey and Dave Wassel for a while now, tell us about some of boards you have been making them for Pe’ahi? Both Dave and Mark are riding thrusters there…which goes against the grain for guns, especially at Pe’ahi. Dave has never really taken to quads at any length, be it shorties, Pipe boards or guns. He just does not click with them. Dave’s 10’4” he’s been riding there is 22 1/2” wide by 3 3/4” thick. Marks is 10’2” is 20 1/2” wide by 3 1/2” thick. 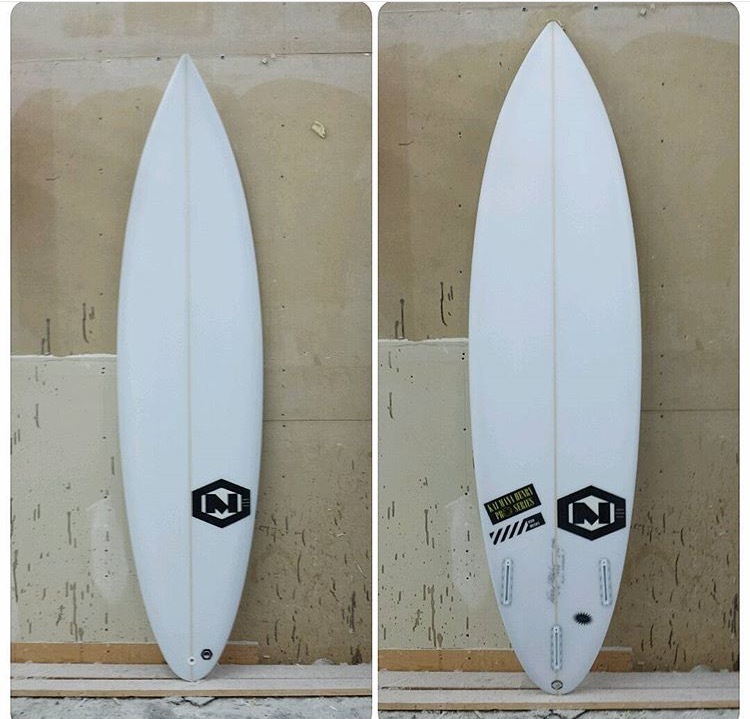 Mark’s is unique in that the wide point is 7” ahead of center, and it has an extremely wide nose. Mark’s reason for riding thrusters at Pe’ahi is (according to him) my 10’2” rides like a 8’0”. Very maneuverable, yet very stable. They both tell me the one characteristic my guns have (that most guns don’t) is they paddle extremely well, and are maneuverable. Their guns both share traits typical of the guns I shape. Fuller rails, foil carried out to the ends a bit more. Slightly wider noses. Very forgiving edges in the front half. What’s some of the changes in design that’s happening with big wave boards right now? Well, I think right now gun design is really the next frontier. In the past few months, the bar for big wave paddle surfing has been raised immensely. The swell at Pe’ahi last Friday was like watching a CGI movie…..those guys were making history out there….unbelievable. In a broad sense, I think creating guns that paddle faster, get up on plane quicker and don’t flex quite as much are a few elements that would help. Weight is a key element as well. I think riding boards in the low to mid thirty pound range might be more and more commonplace. Possibly lower entry rockers depending on the spot. I think gun design is in a state of flux right now and it’s pretty exciting to be a very small part of it. I think in years to come this will be looked back upon as a turning point in gun design. You shaped the gun Mark Healey paddled into his historic left at Peurto last summer. Can you tell us a little bit about that board? That board was 9’8” x 20 7/16” x 3 7/16”. It was a thruster, fins set at 6 1/2”and 16 1/2”. Front fins had 3/16” toe in. As I said above, the rails were pretty full, and the foil was carried out to the tips a bit more. The bottom contours were as follows from tip of nose to just behind center : panel vee transitioning into very mild rolled vee which transitioned into flat. The peak of the rolled vee is about one foot or so in front of mid point. From the small flat it transitions into panel vee the last 2 feet off the tail. Very mild double concave is set into the panel vee. Very mild transitions and very forgiving edges in the front half of the board. Mark said it paddled very well, and turned like a shorter board, without feeling squirrelly. I actually just made him a duplicate of that board, so maybe he’ll make history someplace else on this one! 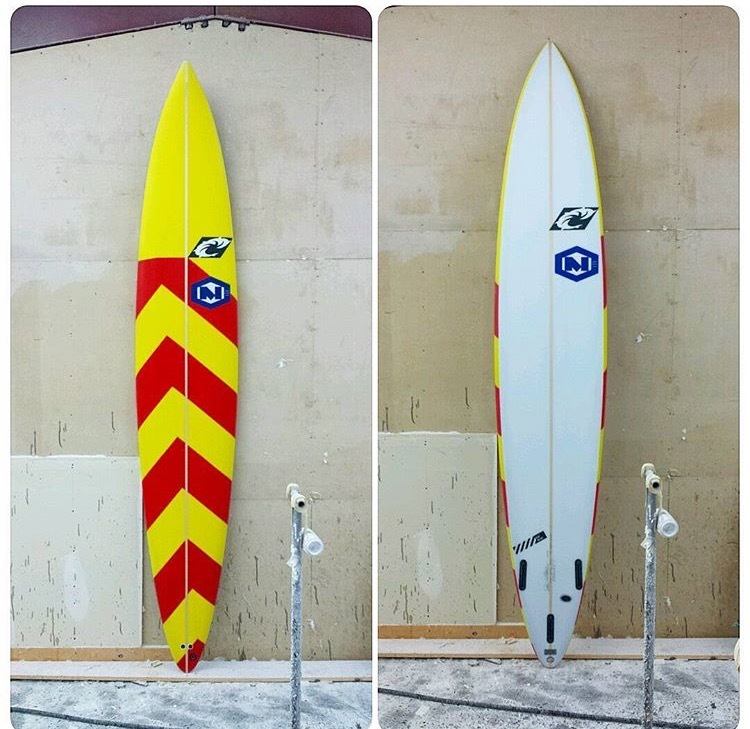 Who are some of the Pipe guys you make boards for and what they are riding? Aside from Wassel and Healey, The other guys at Pipe are Kaimana Henry, Tai Vandyke and Jason Frederico. Coincidentally, they are all above the 200 lb. mark. Kaimana just won the DaHui Backdoor Shootout on a 6’8” which is pretty typical for all 3 of these guys, especially in their mid range Pipe boards.The mid six foot range. 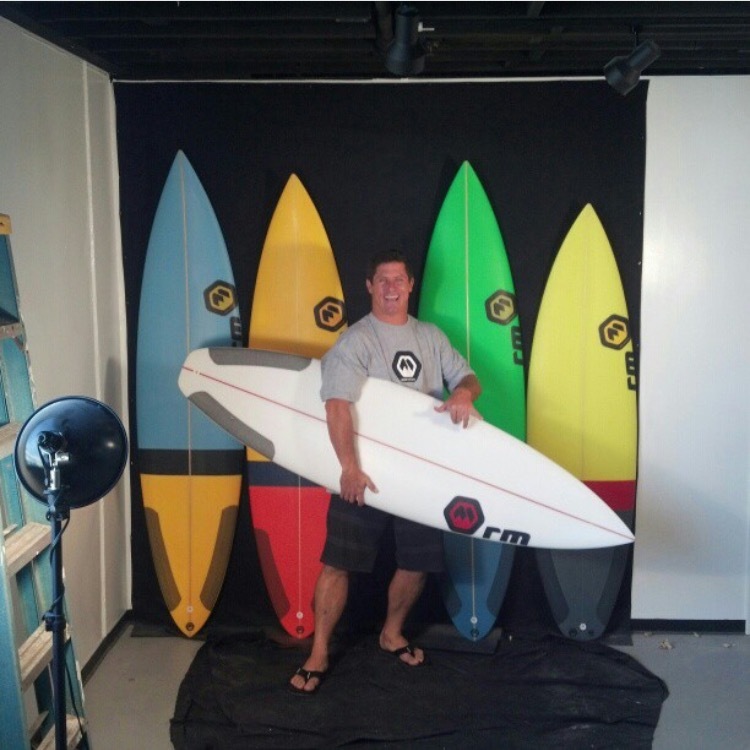 Kaimana’s winning board was 6’8” X 19 5/8” x 2 3/4”. Wide point ahead of center and slightly wider nose. 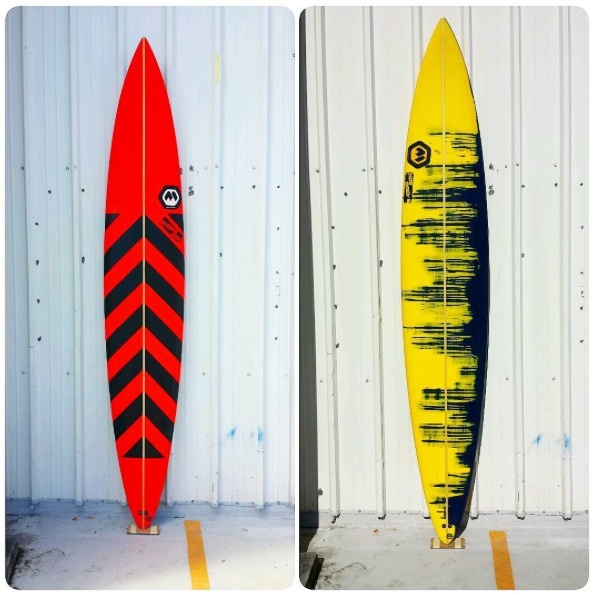 Tai’s and Jason’s boards are very similar, but with some differences in width and thickness. 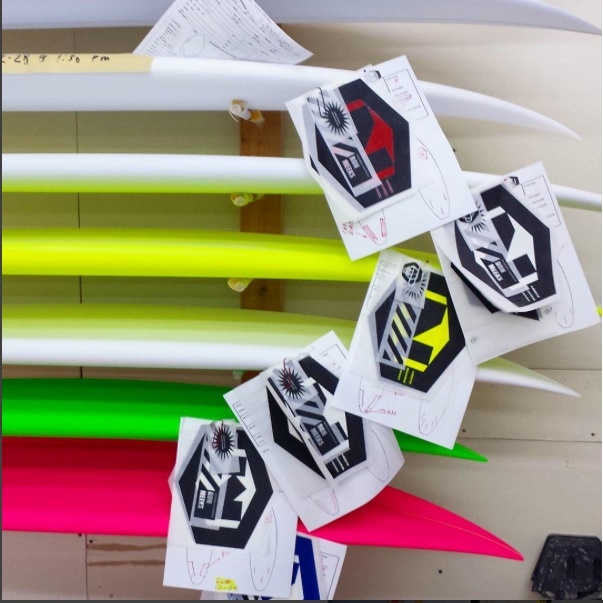 Tai’s are a bit wider and thicker, and Jason tends to favor thicker boards with slightly less rocker. 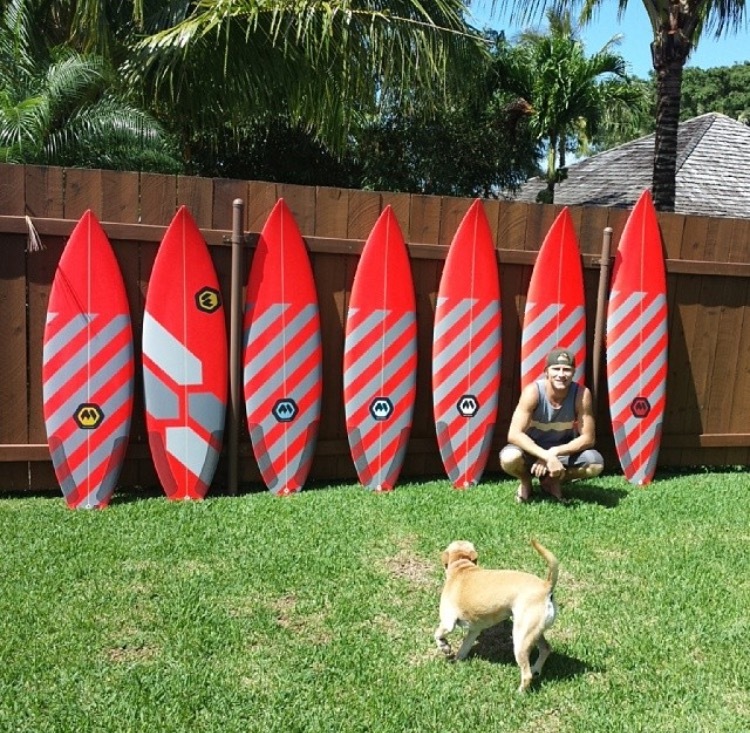 Where in Hawaii can people find and order your boards? Great interview! Way to go Ronnie!